Julie Chopinet is the founder of Animée Paris, the only eshop in France to propose a selection of premium, independent and edgy activewear brands, like P.E. Nation, Lurv, Lilybod (all featured in our Fan Club section BTW). Just back from a retail scouting mission in Hong Kong, Julie shares her favorite lifestyle spots for eating, drinking, shopping and exploring. Put your phone in flight mode and take a walk, stroll or bike along Seaview Promenade from Deep Water Bay to Repulse Bay. It’s about an hour on foot, with a comfortable relaxing view and some photogenic moments guaranteed. Careful though, it gets crowded on the weekends. Access from the Central metro stop or buses 6, 6A, 6X or 260 to the Deep Water Bay stop. Kita Yoga is a cozy studio with simple yet chic decor offering a variety of styles and levels. Try Kita Flow their signature “holistic practice created to offer a new and authentic experience with therapeutic virtues.” Bonus point for the Reckless Red yoga mats, non-slip and 100% Instagram friendly. With it’s pleasant Scandi decor, impeccable service and ultra fresh products, it’s no wonder Grassroots Pantry is a favorite dining destination for both locals and visitors. They open at 9am and serve one of the best healthy breakfasts in town. Top recs: the berry cacao açai bowl and lemon chia seed pancakes. If headed there for dinner, plan ahead as the neighborhood’s thirtysomething vegans start filling it up from early eve. Located on Wellington Street in the heart of central Hong Kong, Mana’s motto is “fast slow food” which in this case translates as organic plant based foods, a zero waste environment and globally inspired flavors such as the classic burger (veggie) with tofu, mushrooms and halloumi mezze plates and yam fries with dip as well as fresh soups and juices. The service is quick and the atmosphere agreable. Best for lunch as the tiny space overflows with throngs of hungry hipsters at dinner. Colette meets Dover Street Market at this Hong Kong boutique showcasing original and one-of-a kind products with a particular focus on local designers. Think: t-shirts, bags and other accessories, gadgets, books...and more. Great for gift giving and personal souvenirs. G.O.D. has several shops in the city, but our favorite is the one located at PMQ Design in the center on Aberdeen Street. CALEUM GREEN is an adorable eco-conscious shop on Hollywood Road, one of this bustling city’s most vibrant streets. In addition to today’s top activewear brands such as, LNDR, Olympia, Heroine Sports and Varley; they also carry an enticing selection of wellness-oriented books, candles and natural cosmetics including non-toxic nail polish newcomer Ella+Mila. Heads up sneaker freaks: Fa Yuen Street is for you. Unbeatable prices - around $50 for Nikes, $20 for Converse - and a full spectrum of styles Nike, Adidas, Vans, Converse, Puma...and more. The shops stay open till 11pm giving you plenty of time to shop the entire street for comparison and reflection before deciding between those $50 Nikes or $25 Converse. Or perhaps just buying both. For K-beauty fans, Sasa is a must. With stores on every other block and open until after dark, it’s impossible to resist popping into these slightly kitsch spots to peruse their selection of Korean cosmetics. Greatest hits include La Neige’s Water Sleeping Mask, Tony Moly’s lip balms and toners by Innisfree. 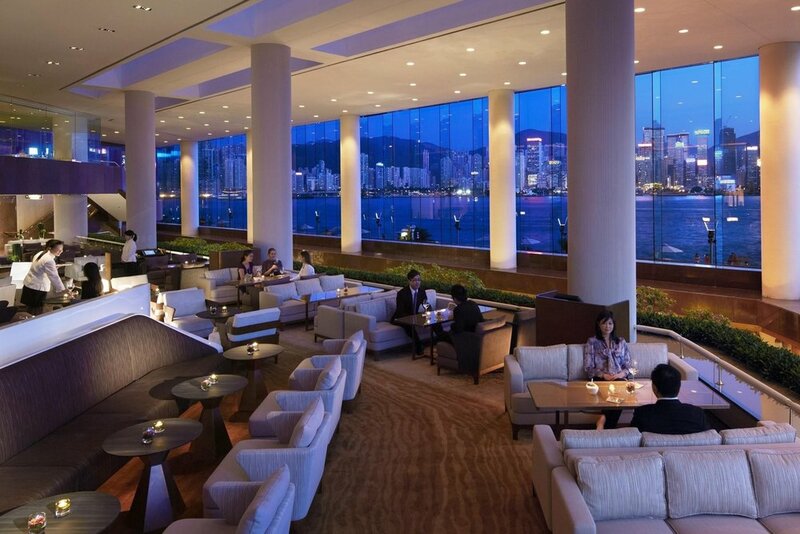 Settle in and wind down with a cocktail while admiring the breathtaking view over the Hong Kong Bay. Additionally, The Lobby Lounge has live music every night and a Happy Hour pricing from 5pm to 730pm. Friendly and efficient service to boot. 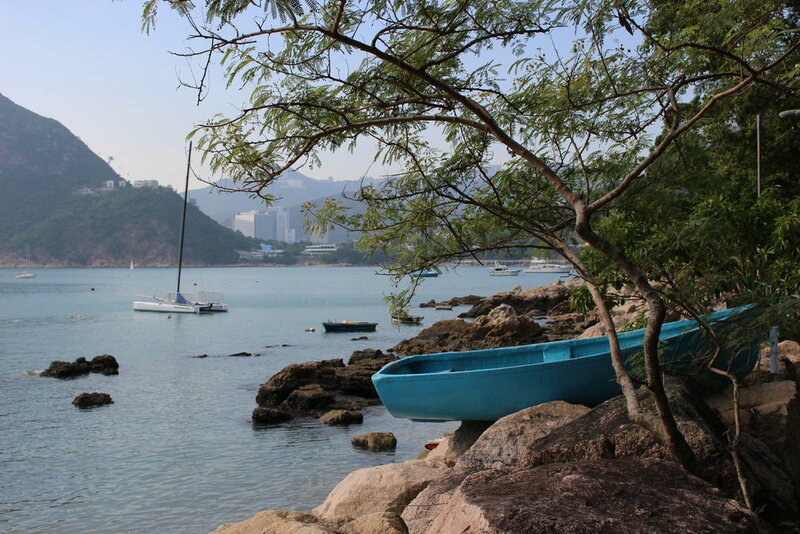 Kyozasa is tucked away in the neighborhood of Kowloon, on the mainland in the northern part of Hong Kong. A small and unassuming façade and 1st floor location mean it is so discreet that if you blink, you’ll miss it. Which would be a shame as this tourist-free izakaya serves great comforting classics like tamagoyakis (omelette), crab roe salad as well as a delicious assortment of sashimis. The in-town airport check in service consists of registration counters at which travelers can check bags and receive boarding passes anywhere from 90 minutes to 1 day before traveling by plane. 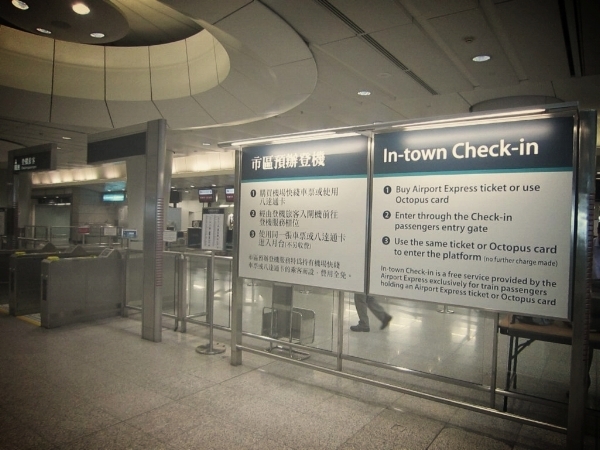 The counters are located in the Kowloon and Hong Kong MTR (metro) stations and are contingent on the purchase of a one way Octopus or Airport Express ticket to the airport (where your bags will be waiting for you!). Hong Kong is currently the only city in the world offering such service. Hopefully that will change soon.